​The rivalry is officially on in the NFC West, as ​Richard Sherman is ready to reignite the fire between the 49ers and Seahawks. It's a new era in Seattle, as the All-Pro cornerback is going to the Bay to compete in San Francisco. While he cherished all the glorious moments with his former squad, Sherman isn't exactly thrilled with the way the Seahawks conducted themselves. Seattle parted ways with their best corner, witnessed Kam Chancellor retire, and still have contract disputes with Earl Thomas. Well, Sherman is absolutely baffled at the franchise's issues and believes they're completely responsible for this mess. In a feature with Sports Illustrated, the defensive back unleashed on his newest rival, saying, "They’ve lost their way. It’s as simple as that. They’ve just lost their way. When you make too many mistakes over a long period of time, you kind of dig yourself a hole." ​​Clearly, there's no love lost here. Instead of extending ​Earl Thomas' deal and retaining the last crucial piece of their secondary, the Seahawks have decided to play hardball with the standout safety. Every great franchise eventually reaches rock bottom, but the Seahawks' fall from grace has been rather quick. They went from representing the NFC in the Super Bowl back-to-back seasons to missing the postseason in just three years. Unfortunately for Seattle, they'll be stuck watching the 49ers and Rams feast in their division. Richard Sherman and the Cornerback Summit: Starting fresh in San Francisco, the three-time All-Pro DB summoned his CB colleagues to study film and share trade secrets. 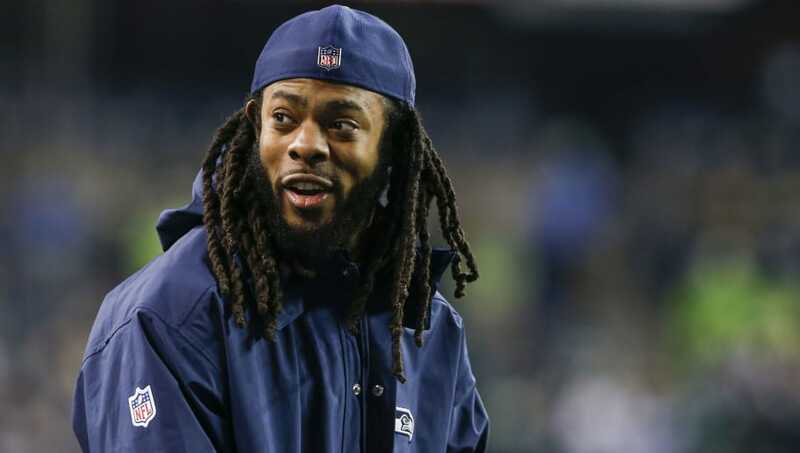 ​​Getting thrown out from Seattle has given Sherman another chance for postseason success. He'll help anchor a young defense in San Francisco. For Seattle, it's very apparent their championship window is closed. Considering the severity of Sherman's comments, it's hard to wait until the regular season starts in September.